Also in today’s roundup, Lisa Cole joins the Washington Spirit coaching staff and Laura Georges announces her retirement. 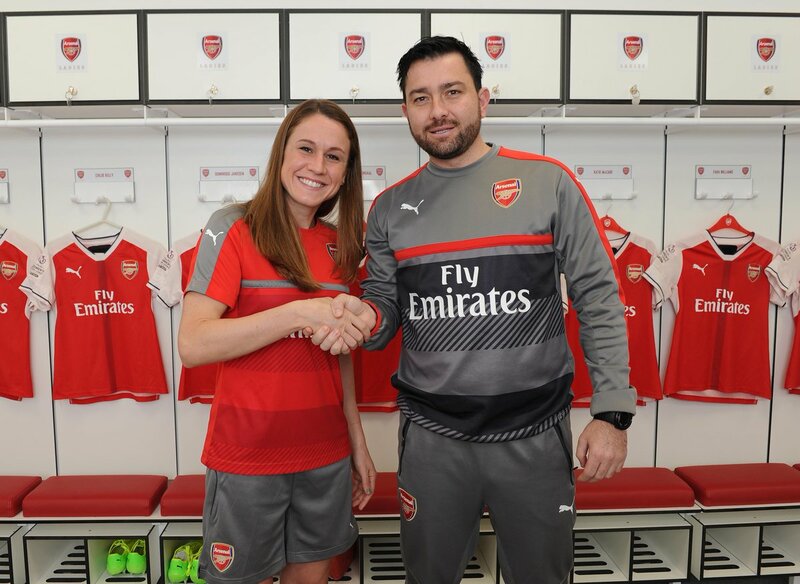 Heather O’Reilly, here with Arsenal coach Pedro Martinez Losa, has announced her departure from the FA WSL club. Arsenal announced earlier today that American import Heather O’Reilly would not be returning to the club at the start of next season. O’Reilly, who has spent the last 18 months in north London after signing with the club in January 2017, scored four goals in 38 appearances for the club. O’Reilly was one of three USWNT stars who signed with FA WSL clubs at the start of 2017, leaving the NWSL to do so. Carli Lloyd (Manchester City) returned to the NWSL in August of the same year, while Crystal Dunn (Chelsea Ladies) only returned to play stateside at the start of the 2018 season. 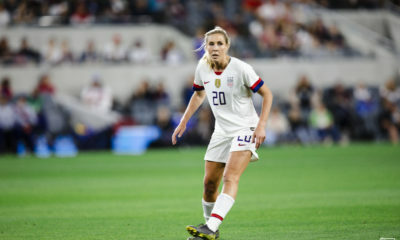 Although neither Arsenal’s official statement nor O’Reilly gave any indication of her future plans, the NWSL transfer window did open on Monday, May 21. 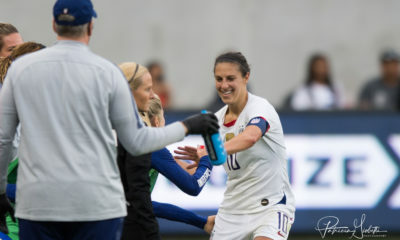 According to Cindy Lara of RSL Soapbox, if O’Reilly does choose to return to the NWSL, the Utah Royals FC currently hold her rights as they, along with all FC Kansas City player contracts, were granted to the club by the NWSL in the wake of the former club’s folding. Before signing with Arsenal, O’Reilly played with FCKC from 2015-2016, making 27 appearances for The Blues. She also won the 2015 NWSL Championship with FCKC, tallying an assist on the championship-winning goal scored by Amy Rodriguez. The Washington Spirit have officially brought Lisa Cole onto the staff. 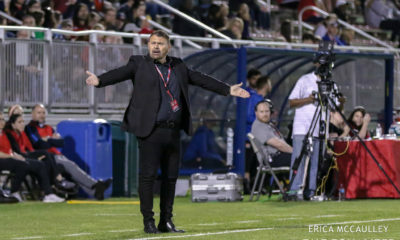 The former head coach of the Boston Breakers and the Papua New Guinea U-20s will coach in the Virginia program of the Spirit Academy and also serve as a scout for the Spirit. The Equalizer’s Dan Lauletta first broke the news of Cole joining the Spirit. Cole most recently served as an assistant under Vera Pauw in Houston but left the Dash abruptly with the club never having announced her departure. 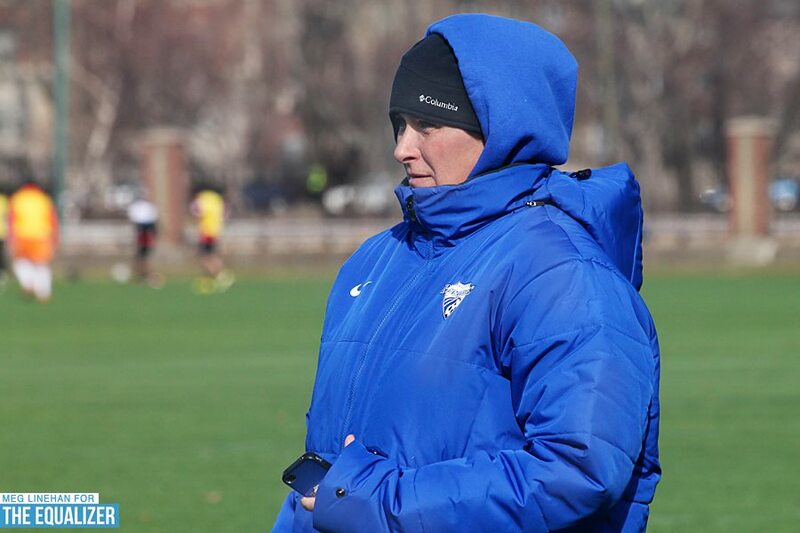 She was a three-year assistant under Tony DiCicco with the WPS Boston Breakers before taking over for him ahead of the move to WPSL Elite in 2012. That club finished first during the regular season before bowing out in the semifinals. Cole then took the Breakers into WPS but was fired with four games to go and a 6-7-5 record. Cole also coached Papua New Guinea at the 2016 U-20 World Cup. Laura Georges announced her retirement from professional soccer via a social media post on Thursday. The 33-year old’s retirement comes as a bit of a shock for many fans, as she is the second-most capped member of the France women’s national team. She is also retiring just over a year out from the 2019 World Cup, which will be hosted by her home country. “Making the decision to end my career at one year of a World Cup at home is not easy, but I had the chance to play three,” Georges said in an interview with France Football about her retirement. 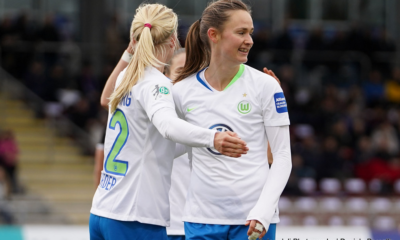 Georges had spent the last six months playing with Bayern Munich in the Frauen Bundesliga, although she has previously played with the top two clubs in France, Paris Saint-Germain and Olympique Lyonnais. She played stateside at Boston College from 2004-2007, during which time she was named the ACC Defensive Player of the Year in 2006. According to the interview in France Football, Georges will now serve as the Secretary General of the French Federation, working to help develop women’s refereeing. 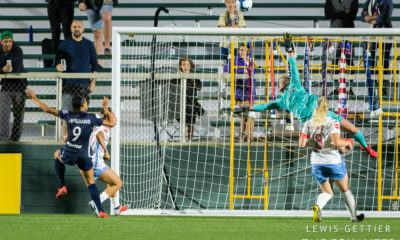 NWSL Week 9 Preview: Are streaks made to be broken?